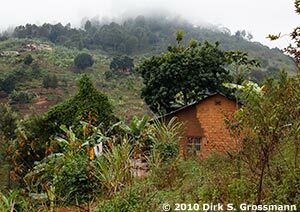 On the long way from Tarangire National Park to Dar es Salaam (and further to Zanzibar), we spent a few days in the Usambara Mountains. From the plains to Miller's Lodge high in the cool, moist mountains. Hiking to a view point that oversees the lowlands; through villages, plantages and small forests. Hiking to a waterfall near Lushoto.